A particular favourite of Umut’s, ‘Güneş’ beautifully conveys the classic psychedelic era feel with its fuzz guitar and atmospheric Mellotron arrangement by Marco Fasolo. Likewise an irrestible blast from the past guitar riff accompanies ‘Sevdiğimi Seçtim’, Umut’s most personal song about those who follow their inclinations. Although ‘Kadıköylü’ is another track steeped in heady psychedelic sounds, this is a modern metropolitan song about Istanbul and its different ways of living and alludes to Kadıköy, one the most modern neighbourhoods where its inhabitants are renowned for their Westernised lifestyle. Now living in Italy, Umut is able to look at his homeland from both sides and expresses his concerns in ‘Bandırma Başkent Oldu’, undoubtedly the most overtly political song on the album, about the decision taken by the current government to promote the small city of Bandırma to capital of its province because of local political machinations. A fitting closure to the album ‘Ana Baba Bacı Gardaş’, is a song about the possibilities for humankind to better itself even outside religious creeds: a truly tricky theme in today’s Turkey. 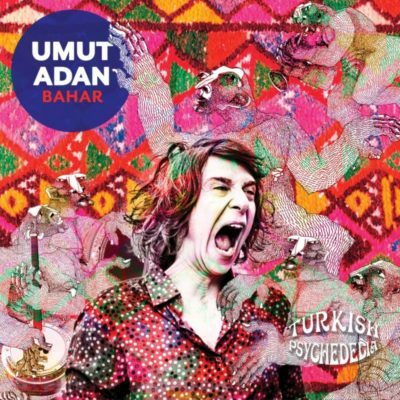 From political paranoia and manoeuvring to the hopes of freedom and harmony circulating amongst the Turkish youth, Umut Adan’s musical message is deep and meaningful whilst at the same time paying a respectful tip of the hat to the artists of the Anatolian rock heyday.